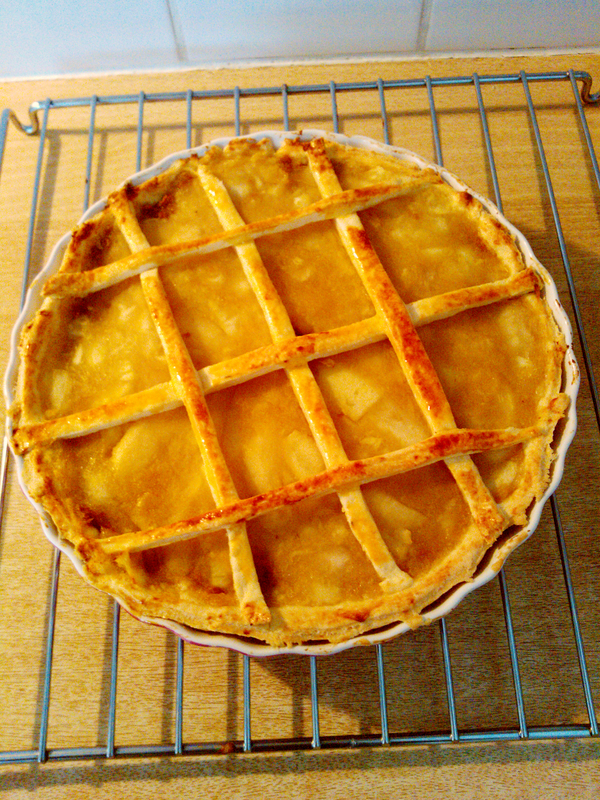 Fiesta Friday #25: Sugar-Free Apple Pie! I have been caloriebombing you the past few weeks but today I’m going sugar free! Yes, you heard it right, sugar F-R-E-E! Little secret: I love love love love love LOVE crumbles! I’m making an apple crumble pie. No, wait. I am making two versions because I’ve got one with crumble and one without it. Skin the apples and cut them into large pieces. Preheat the oven at 180 degrees centigrade. Put a sheet of puff pastry in the baking tin. Put the cookie crumbles on the bottom. Add the apple sauce on top of it. Mix the flour together with the stevia/tagatesse, the butter and the almond powder until it becomes a dry, granular mixture. Divide the crumble over the pie. Cut the leftover of puff pastry away. I used these leftovers for the decoration of my pie without the crumble. 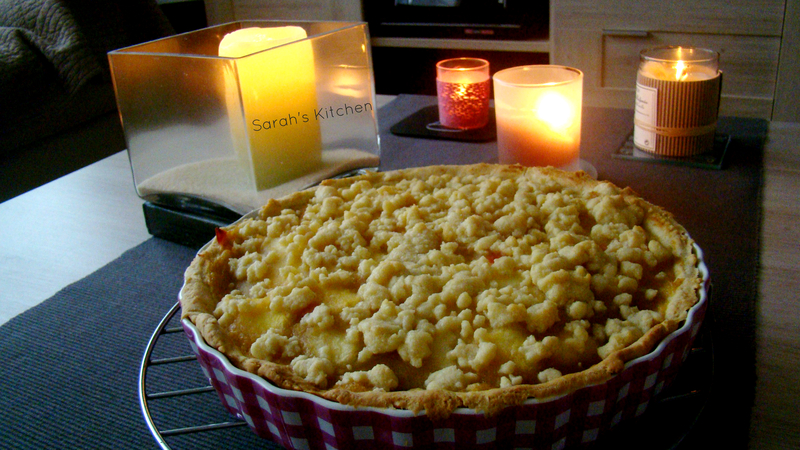 Bake the apple pie for about 30 minutes. Let the pie cool and you are ready to go! Maybe some sugar free ice cream to go along with it? 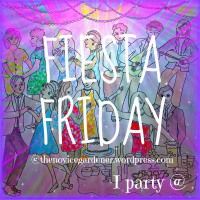 Have a delicious day and a wonderful party! This looks lovely Sarah! And sugar-free? I’ll have 3 slices that’s for sure…! Are you tiring of sugar a little bit, like me? I love this pie with the topping, with the lack of sugar, and I love the pan!! Once you suggest adding speculoos (GENIUS!!) to this pie how could you not? The combination with apples sounds amazing- love the puff pastry too. Great dessert!! Looks amazing!!! sugar free I’ll take 2 slices. Sounds really new and too good.. I love Apple Pie! And sugar free …how wonderful is that! 🙂 It looks delicious. No way, sugar-free pie? Does that mean you’re allowed 2 slices? 🙂 Looks so YUM! I actually use stevia quite a lot. I grew them last year and dried the leaves. They’re much sweeter than sugar! That’s why I don’t need to grow them again. I still have a whole jar full! Neither do I, Sarah! Please, let’s not eat pie plate. 😀 Enjoy the weekend!